Professor Cathy Barnes is fascinated by the world of the consumer. She is constantly trying to understand how we, as people, interact with the world around us and what this means to improved products and daily experiences. Her research work has taken her on a journey from novel ideation techniques such as biomimetics (using nature to innovate) to sensory design. She is particularly interested in how we perceive the world through touch and what this means to why we buy products. As the Professor of Retail Innovation at Leeds Metropolitan University, Cathy is responsible for leading the Faraday Centre for Retail Excellence. She aims to build a new type of university institute where academics and industry work closely together to deliver new knowledge with real and immediate commercial impact. Originally training as a draughtsperson, Cathy started her diverse career in engineering, working on nuclear submarines. After a first degree in Mechanical Engineering, she started her love affair with consumerism by 6 years in industry managing factories making everything from cosmetics to crisp packets. 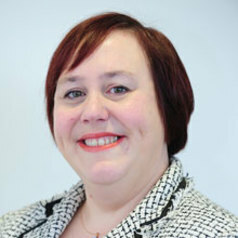 Prior to joining Leeds Metropolitan University she spent 12 years at University of Leeds researching into the consumer experience and managing outreach departments working closely with industry. During this time she led many research grants and has published widely in both academic journals and the trade press.